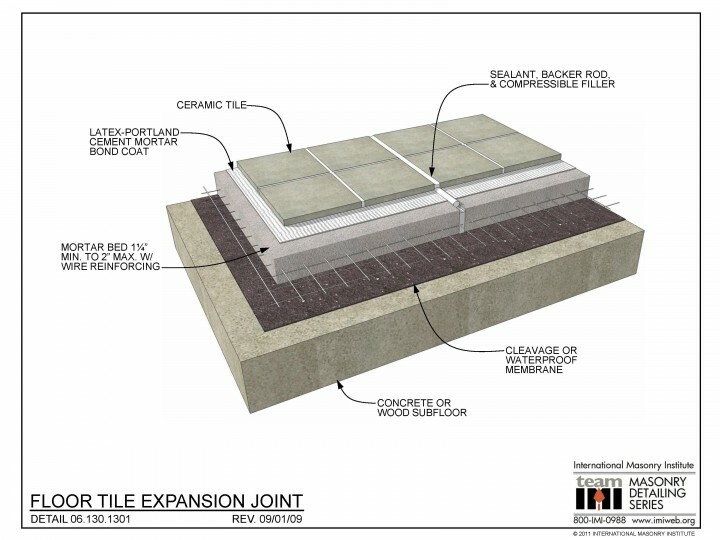 This detail shows a tile expansion joint in floor system made up of tile laid in a mortar bed, adhered to the cured mortar bed using a dry-set or latex-modified portland cement mortar bond coat. The mortar bed is reinforced with 2″ x 2″ wire mesh, and an antifracture or waterproof membrane separates the tile assembly from the concrete subfloor. 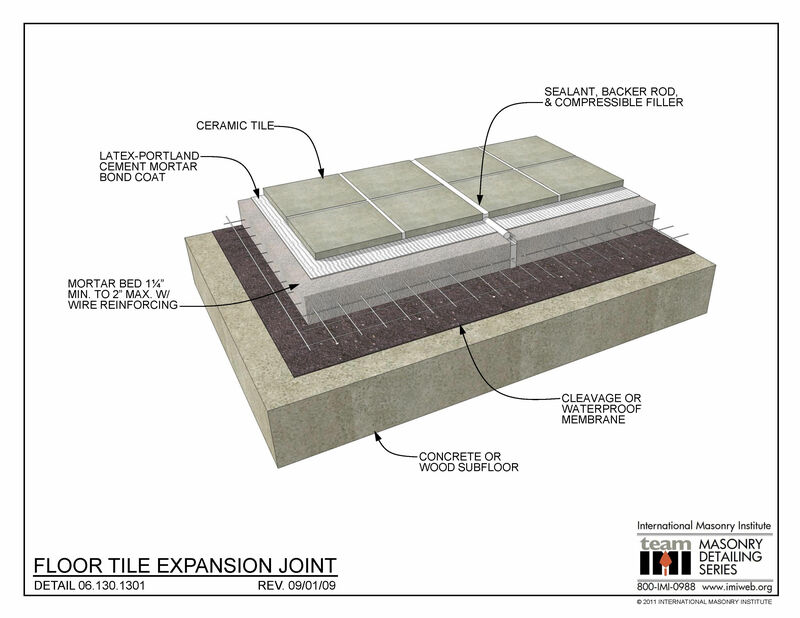 The tile expansion joint goes through the tile and the mortar bed.